and will stay fresh well through the holidays as long as they are kept well watered. 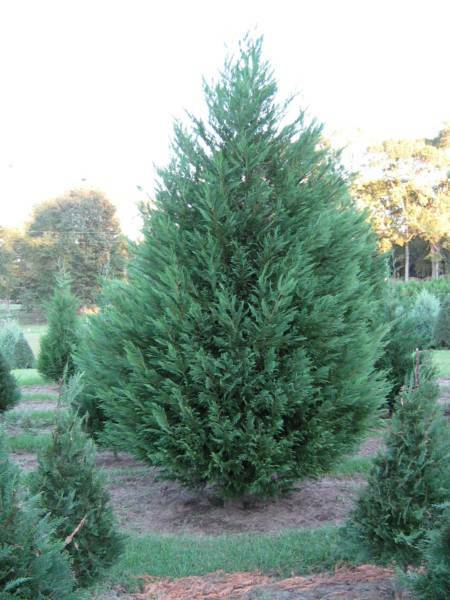 Southern grown Christmas trees do not go dormant like trees in the north so they have a continual need for water.Therefore, it is very important that water is kept in the tree stand at all times. Trees should have their water level checked twice daily for the first few days and at least once daily thereafter. If your tree will not be put up in a stand right away, stand it up in a container of water until you can do so. If more than an hour elapses before your tree is put in water or into stand with water, the end should be recut to give a fresh surface so the tree can drink water properly. Cypress does not really have a smell. This could be considered a fault but is actually a plus for people with allergies, many of whom are able to tolerate a Leyland Cypress tree in their home. 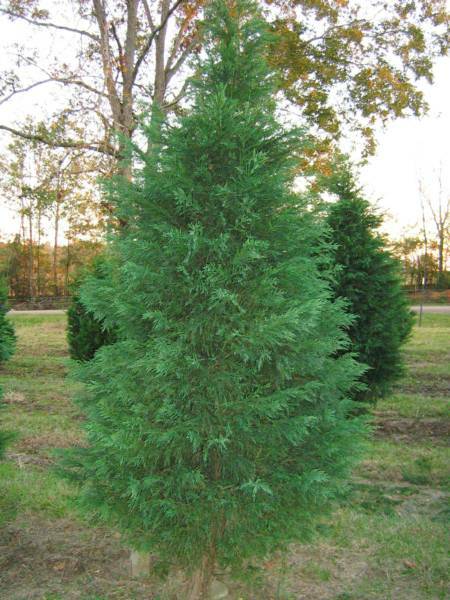 The Naylor Blue Leyland Cypress is green with a slight bluish cast to the tips of the branches. This tree has more space between the branches than the Leighton. The limbs have a downward droop on the ends whereas the Leighton's limbs grow upwards. 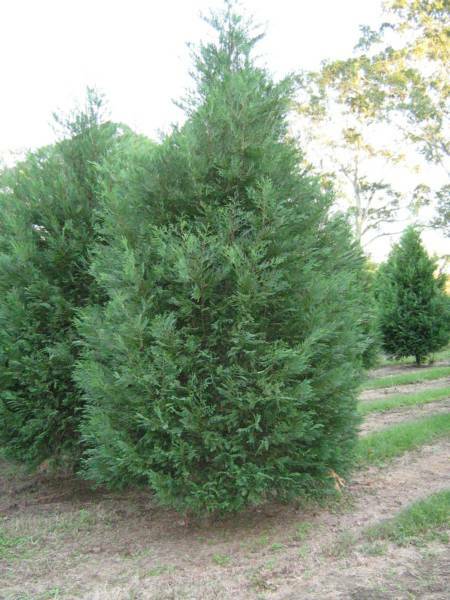 The Murray Cypress is related to the Leyland Cypress but the tree is greener and the branches are stiffer. 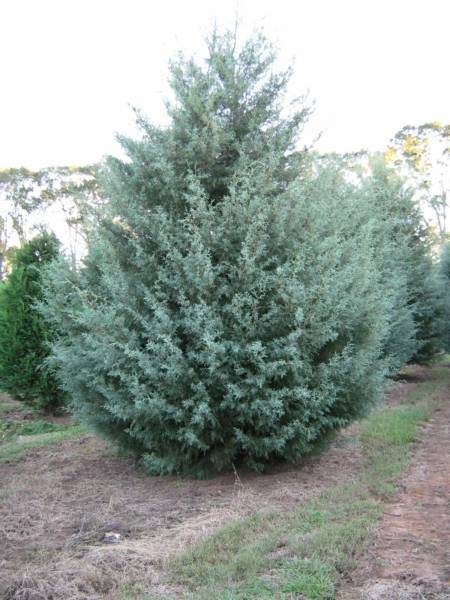 The limbs do not grow as symmetrically as the Leyland's so it has a more "natural", open appearance. It also has a light fragrance. The Carolina Sapphire has a silvery light green appearance. It is the most fragrant tree we grow. It has an herbal aroma that appeals to many people. This year we will have NOT have pre-cut trees available. We will not have any Fraser firs.